These mosfets may replace single mosfets (which, however, can still be purchased separately), easing and speeding up their installation. This way, client can choose between the two solutions for the repair process. Among the advantages of the pre-assembled mosfets we can highlight speed and ease of their replacement, and most important a pre-assembled product features a potentially better quality compared to manual assemble performed in place. 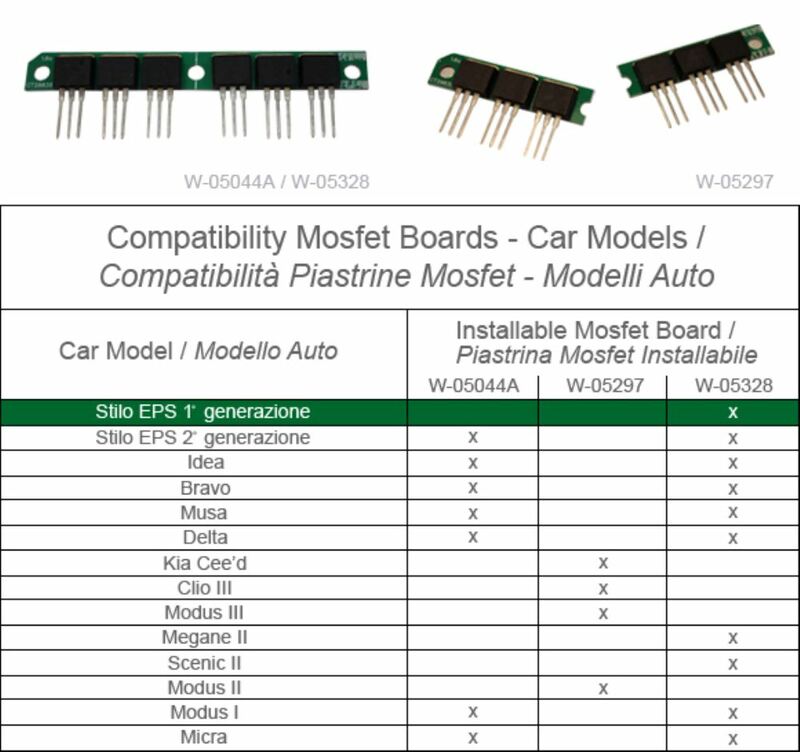 The table above shows a brief compatibility list between mosfets and vechicle models. The new W-05328 is the only item suitable to be mounted on Fiat Stilo 1st generation. With the production of these undersized items, you can efficiently overhaul racks which should be otherwise thrown away, with higher costs for garages both for disposal and the repair pocess itself.